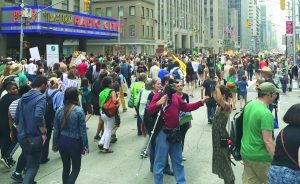 A panoramic view of attendees at the People’s Climate March in NYC. Intending to put pressure on world leaders to take action to end climate change, approximately 400,000 people, including 25 UNC Asheville students, joined the People’s Climate March on Sept. 21. Organized by activist coalition 350.org, the march took place in New York City. 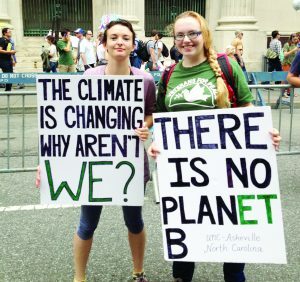 UNCA students Sarah Harrell, left, and Jane Smith, right, hold signs at the People’s Climate March. Police read the protest signs and acknowledged their point, according to Merry Hughes, senior and Student Environmental Center coordinator. Indigenous people, the groups most affected by climate change, led the rally while many other communities of students, scientists and environmental organizations followed. Simultaneously, 2,646 rallies occurred in 146 countries worldwide. Marchers split up into contingents ranging from a student group to a family group to those based on locality, ethnic origin or economic status — demonstrating the diversity of the movement to confront climate change. More than 1,000 organizations represented themselves at the march. Students exchanged views with people from across the United States. An estimated 400,000 people gathered during the March in New York City. Attendees said it demonstrated that people are ready for change. “I was very surprised at how much people are catching on and feeling betrayed by Barack Obama, by the Democratic party, by corporations which are claiming that they’ll fix the problem,” said Aaron Rothemich, senior and International Socialist Organization co-founder at UNCA. Hillen said there remains a concern over whether the switch to renewable energy will cut jobs, but even labor activists marched to show that they are ready to make the switch. Like Hillen, Williams Parker, a senior and ISO member, said he came away from the march more concerned about the connection between climate change and economic injustice. Others, like Caroline Bluhm, a freshman, went with that in mind. 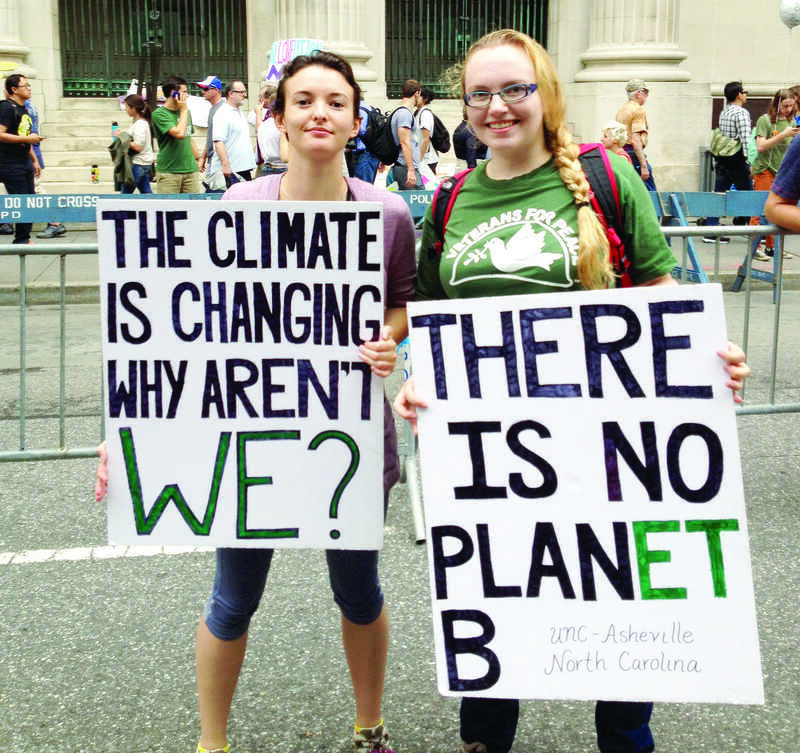 Parker and Bluhm were among the seven members of UNCA’s chapter of the ISO attending the NYC Climate Convergence on Sept. 20. The series of workshops and conferences centered around the idea of system change not climate change. The discussions framed environmental degradation as a social justice issue. Speakers included eco-celebrities like Vandana Shiva and Naomi Klein. Bluhm said grassroots political activism was an aspect of NYC Climate Convergence that held enormous emotional appeal. “It shows citizens getting involved where they live,” she said. Rothemich, who identifies as an ecosocialist, said he felt pleased that 10,000 people comprised ISO’s contingent at the march. He met ISO members from other cities for the first time. 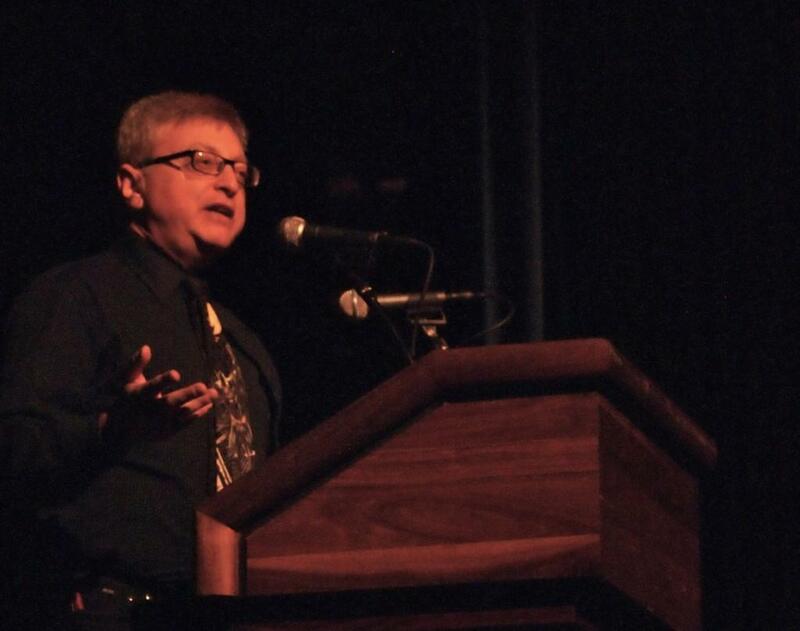 “It was really enlightening to talk to people who have been veteran activists for 10-20 years,” he said. The ISO brought a lot of energy to the march, chanting through megaphones from 8:30 a.m. – 4 p.m., according to the group’s leader. It disappointed Rothemich the march’s organizers did not have formal demands in place. Several students noted they have yet to see how far the affects of the march reach. Ashley Hillen, UNCA student, said encouraged by the scale of support the march showed, but doubts the activists’ work is over. “Were we speaking to the people who needed to hear it most?” Hillen asked.